How Far is Greens Swathika Avenue Phase III? Swathika Avenue Phase III, A seamless amalgamation of luxury, comfort and style blend to provide a truly sophisticated lifestyle. These Residential Villas in Coimbatore are beautifully planned keeping in mind the architecture which can soothe your senses whenever you step into your house after a tiring day from work. Swathika Avenue Phase III in Fathima Nagar strives for customer satisfaction and believes in building world-class projects without compromising on quality standards, innovation and timely delivery. With well-ventilated apartments and uncluttered nature space, Swathika Avenue Phase III makes you feel that every day is an excursion. Swathika Avenue Phase III is one of the best investments in Residential properties in Fathima Nagar, Coimbatore. The Villas in Swathika Avenue Phase III are strategically constructed keeping in mind excellent connectivity of public transport. 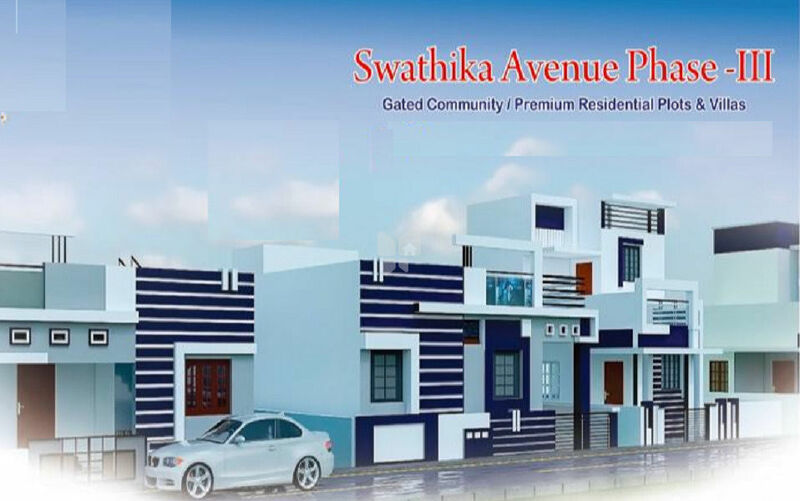 Swathika Avenue Phase III presents 1 BHK and 2 BHK Villas in Coimbatore. The price of Villas at Fathima Nagar in Swathika Avenue Phase III is well suited for the ones looking to invest in property at Coimbatore. Greens Property Developers India Pvt. Ltd is a leading Property Developers in Coimbatore, Tamilnadu. We are a team of professionals specialized in the Property Development and Real Estate in Coimbatore. Greens Property Developers India Pvt. Ltd sells approved sites at very affordable prices in Coimbatore. Our projects are low cost project with all competitive and best features. The company has a vast experience in Realestate field for the past 25 years, covering all major parts of Coimbatore. We have satisfied almost 10,000 customers including NRI costomers. As per the company policy we provide only government approved plots. We welcome you to join the Greens family and give us an opportunity to serve you & get benefited.